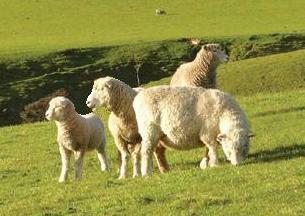 Want to know what is going on with the lamb supply out of New Zealand and Australia? TheÂ latest newsletter on Lamb has just arrived!Â Our mid-season update is an insight on lamb production Down Under. Â Are you interested in knowing more about lamb and production? Every wonder how big (or in this case small) a lamb has to be to produce a 8 to 10 oz rack? Well! The wait is over click on over to our latest newsletter here. Â Don’t forget to click the subscribe button to get newsletters direct to your email. We hope you enjoy this interesting and fact-filled edition on the lamb supply. The Spring edition will present a shift to beef and what you may see already happening. The New Zealand Beef + Lamb Economic Serviceâ€™s Outlook for 2017 forecasts little change in overall exports based on a 3% decrease in lamb offset by an increase in beef cattle of 2.8%. Farmersâ€™ confidence levels are split with cattle ranchersâ€™ confidence relatively higher than their sheep counterparts. We hope you enjoy our newsletters! PleaseÂ like, share and follow us on social media for the last from Pilot Brands. As always if you have questions or suggestions for us feel free to comment or email us. If youâ€™d like to revisit a topic covered in our newsletters, have a subject of interest about grass-fed meats that we can include in one of our updates, feel free to drop us a line at info@pilotbrands.com, Facebook or send us a tweet on Twitter. Weâ€™re always delighted to hear from you.